4-H camp is an overnight program that fosters healthy living in the outdoors. Participating in camp programs help youth build self confidence, meet new people, and experience new opportunities. Cost includes transportation, nine meals, snacks, cabin bunk with mattress, hot showers, canoeing, swimming, campfires, fun workshops, games, and dance. 4-H Scholarships available: complete scholarship request form with application. Secure spot with $10 deposit per youth. Scholarship recipients will be notified as soon as possible. PARENT: Can your child sleep on the top bunk? Have fun and be safe! Participate in everything! Be on time! Wear your name tag (except when sleeping, swimming or showering)! Drink water regularly. A refillable water bottle will be provided! Be at the dock ONLY when lifeguard or canoeing instructor is present! If you feel sick, tell the camp staff or an adult! Girls only in girls' cabins, Boys only in boys' cabins! Wear appropriate clothing: Swim suit in the lake; appropriate clothes on at all times, hat off in dining room; shoes on when walking outside! Quiet and cabin time is from 10:30 pm to 7:00 am for sleeping and for being good neighbors! No: Pranks! Fireworks! Foul Language! Alcohol! Illegal Drugs! Tobacco of any kind! Items that could cause harm to other campers! Follow the direction of camp leaders! I agree to follow the Code of Conduct. I understand that in the event of misconduct, the applicant will be sent home at the parent's expense. There will be a CPR and First Aid holder and a certified lifeguard at camp. All camp participants must complete a Medical Release Form for 4-H Youth & Adults. If your child requires a prescription or over the counter medication while at camp, a Physician Order Form must be signed and sent to the Extension Office prior to giving the child the medication at camp. You may have your health care provider fax the form to the Extension Office at Fax: 375-6606. *Loon Lake 4-H Camp Staff can only accommodate requests for Gluten Free Diets. Any other dietary restrictions are not accommodated by staff. Parents need to send food for their child and the staff will prepare any food given to the kitchen and store in the kitchen. In case of medical emergency, I hereby give permission to the physician selected by the camp director to hospitalize, secure proper treatment for, and to order injection, anesthesia or surgery for the applicant. In case of minor emergency, I hereby give permission for the camp CPR and First Aid provider or qualified camp staff to administer first aid. Parents will be notified of serious physical conditions requiring off-site medical attention. We will not use personal details or full names (first name and last name) of any participant in a photograph on our web site. We will not include personal e‐mail or postal addresses or telephone numbers on our web site or in other printed publications. We may use the name of the child in accompanying text or a photo caption. I DO authorize the use of photos or video of the applicant at 4‐H events or activities. I DO NOT authorize the use of photos or video of the applicant at 4‐H events or activities. 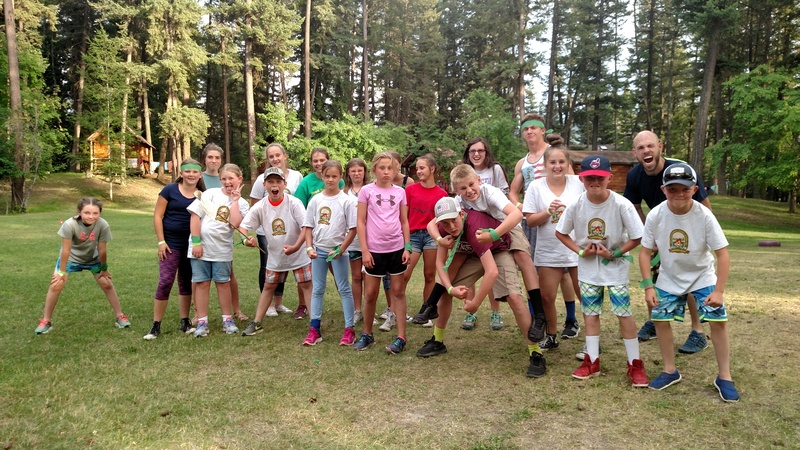 Description of Event: RAVALLI COUNTY 4-H CAMP. 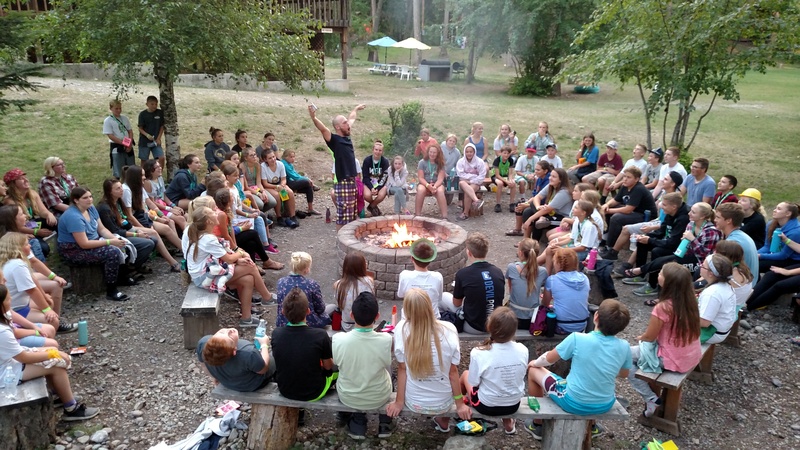 This four to five day event held at Darrell Fenner Loon Lake 4-H Campprovides a variety of workshops such as crafts, canoeing, games, dance, campfires, archery, and swimming. 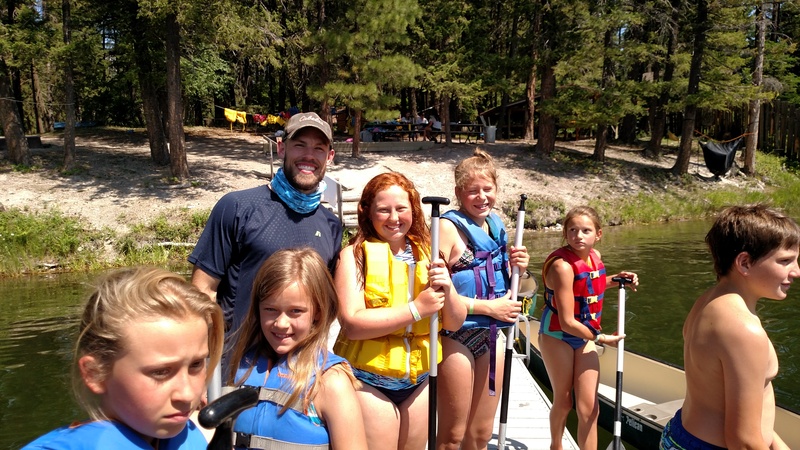 Campers sleep in cabins with an adult chaperone and teen camp counselor(s). Transportation to and from camp is provided by school bus. Consent: I/we understand the program and activities which are involved, consent to my/our child's participation, and agree to have my/our child abide by all the applicable rules, regulations and directions specified by the adult leader(s). 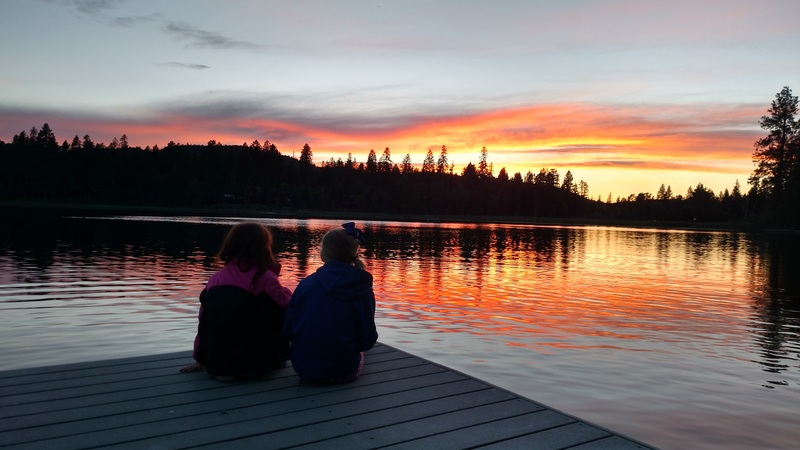 In consideration of my/our child's being permitted to participate in the Ravalli County 4-H Junior Camp, I/we hereby assume all the risks associated with participation and necessary travel. I authorize MSU/Ravalli County Extension Office to provide information to the Darrell Fenner 4-H Camp staff to ensure the safety of the child. We understand that if we have any questions about this event and its activities, we can secure more information before signing this consent form by calling the MSU/Ravalli County Extension Office, 375-6611. I have read, consent, and agree, individually and, as a parent or guardian of the minor named above, to the foregoing terms and provisions. I warrant that I am of full legal age and have every right to contract for the minor in the above regard. □ Are you currently under a doctor's care? □ Are you currently taking medications? □ Are there any physical restrictions or medical problems that may require special considerations? I, ________________________________ do herby give permission to _______________________________ to seek and obtain any medical care necessary for my child _________________________________________ . To the Best of my knowledge, accurate information has been provided in all areas of this form. This form is required if a camper requires a prescription or over the counter medication while at camp. It must be sent to the MSU/Ravalli Extension Office prior to giving the child the medication at camp. You may have your health care provider fax to the MSU/Ravalli County Extension Office at fax: 375-6606. I request that MSU Extension/Ravalli County 4-H Summer Camp Staff designated staff administer the above medication to my child at camp as ordered. I will deliver the medication in the original package or prescription bottle, with the name of the camp, the name of the medication and the dosage to the Camp Staff at arrival to the camp bus.